Over that past few months, the price of oil has been rising steadily. Brent Crude Oil has risen to almost $72 dollars per barrel, which is significantly higher than the $49/$50 dollars per barrel lows that it was at in December 2018. Before the recent climb in oil prices, oil had been declining since October 2018. Oil plays a significant role in the aviation industry and a continued rise in oil prices could be of concern to the airlines and other aviation-related businesses. Airlines have been able to handle oil prices that were at higher levels; however, the substantial growth in the market capitalization of many U.S. based airlines all occurred when oil prices finally dropped below $100 per barrel at the end of 2014. With oil prices on the rise, will airlines be able to counter the added expenses through various financial management strategies? That will be the key area to watch this year. If oil prices stop rising, the airlines and affiliated businesses will be fine; however, continued increases should be of concern to the industry. Will oil go back to the $80 per barrel mark it reached last year? That will be a key level to watch this year. 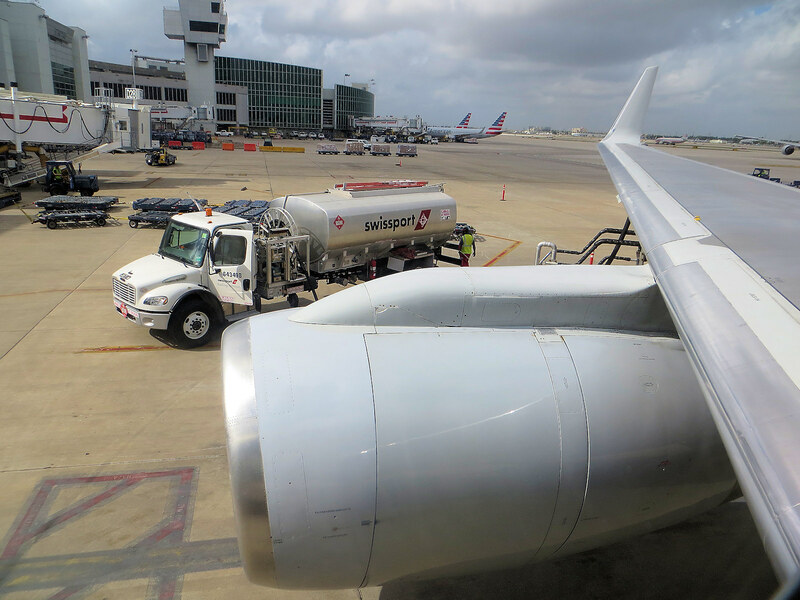 Above Swissport Airport / Aircraft Fuel Truck photo at Miami International Airport by Sunnya343 on Wikimedia Commons. Photo enhansed by FlyRadius and released under a Creative Commons License.